The Marathon 4 ft. X 4 ft. Kit trailer ft.s galvanized construction offers a scratch and corrosion resistant finish that is long lasting and maintenance free. E-Z Lube hubs offer ease of maintenance and added bearing protection. The V-tongue adds stability when traveling. Conveniently shipped in 2 boxes the trailer can be easily assembled using basic tools. Once complete, the trailer can be customized to suit a variety of needs. Tow&Go Hitch Step For over 55 years REESE Towpower<sup></sup> has remained the number ONE manufacturer of towing products through its continuous innovation and commitment to the highest quality standards. Our products are used by recreation enthusiasts, heavy-duty agriculture users, and even vehicle manufacturers around the world. REESE Towpower<sup></sup> includes easy-to-understand tri-lingual instructions to make installing and using your towing products simple and straightforward. Your peace of mind is our business. 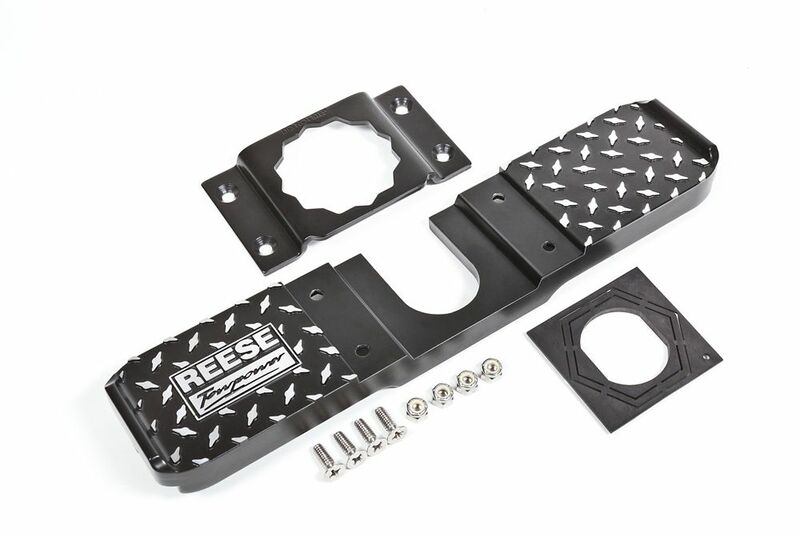 REESE Towpower<sup></sup> products endure testing so rigorous that our methods actually became the industry standard. No other towing products company works this hard for you. So when you're ready to tow, Road trip, let's go! REESE Towpower<sup></sup> - TESTED TOUGH!